Taking control of your finances is something we all have to do at some point. 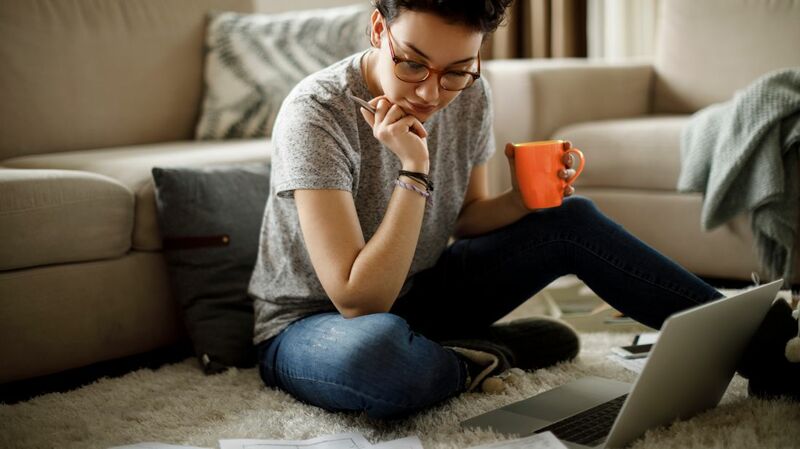 But if you’re not familiar with the concepts of compound interest, investments, retirement funds, and all those other seemingly scary terms, it can be overwhelming to even get started. And the worst thing you can do is ignore the reality of your finances until it’s too late. Luckily, becoming more comfortable with the world of finance isn’t impossible; in fact, with the right strategy in place, anyone can do it. It all starts with taking stock of your current situation and moving from there. Mental Floss and Discover teamed up to get you on the right track. Here with some easy ways to boost your financial IQ. There is plenty of free material online for those who want to learn more about personal finance. For starters, you should check out what material the federal government and your own state and local municipalities have to offer. There are plenty of FAQs, explainers, and downloadable documents that can help clear up the 101-type questions, and if you want to learn on the go, the FDIC even has a free podcast on the basics of finance. If you are looking for more helpful information, try heading over to Discover. Whether you want to learn how credit card interest works or when you should freeze your credit, your keys to a higher financial IQ are right in front of you. A credit score is the barometer of your financial standing, and a good one (think above 740) is vital for taking out loans and applying for a mortgage. While the average American credit score is going up—currently sitting around 704—there are still plenty of people out there with scores in the 500s, which can impact everything from getting approved for an apartment to dictating the type of interest rates you’ll be paying in the future. If your credit score is low, there are steps you can take right away to raise it, including paying your credit cards on time in full and making sure you don’t max out your cards. It’s also a good idea to regularly check your credit score. With Discover's Free Credit Scorecard, you can see your credit score in just a few seconds at any time. Keeping track of what you spend and how much money you have available at all times is key to boosting your overall financial IQ. That $4 coffee every day adds up—so do those $12 lunches, $25 takeout dinners, and $10 streaming services. Seeing these numbers in black and white every week (or day), will make you a more informed shopper and give you a different perspective on your spending habits. Look at your friends and family: Chances are someone either has a knowledge of finances or maybe even works in the field professionally. Or perhaps they’ve learned how to invest or raised their credit score and have tips that might work for you. There’s nothing wrong with asking them some questions next time you’re at a gathering, as long as you’re respectful about it. A few simple questions could get you started on your journey to become more financially informed. Looking for more ways to boost your financial IQ? Discover has a collection of tips and advice to help people spend smarter, manage debt better, and save more to achieve a brighter financial future. Learn more at Discover.